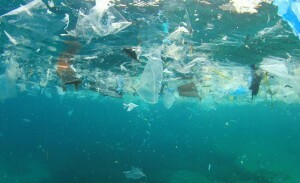 Following the initial mobilisation of several of its member regions, including Västra Götaland, Hordaland and Provence Alpes Côte d’Azur, the CPMR’s June Political Bureau adopted a declaration on marine and plastic waste. In this declaration, the CPMR expresses its deep concern about the impact of marine and plastic waste, as well as its support for the political approach proposed by the European Commission in its January 2018 communication ‘The European strategy on plastics in a circular economy’. In particular, the CPMR welcomes the proposal to establish a specific European Union own resource, based on a national contribution calculated according the amount of non-recycled plastic packaging waste. The organisation of awareness and training initiatives. A beach clean-up operation which will take place during the CPMR General Assembly in Madeira in October 2018, following the one organised in Fredrikstad (Norway) in June by the CPMR’s North Sea Commission. Supporting cooperation between regions and public-private organisations, particularly through cooperation projects such as CLEAN-ATLANTIC in which the CPMR Atlantic Arc Commission participates, as well as PANACEA and CO-EVOLVE, in which the CPMR Intermediterranean Commission participates. Work to reduce the use of plastics in the framework of the CPMR’s own activities.